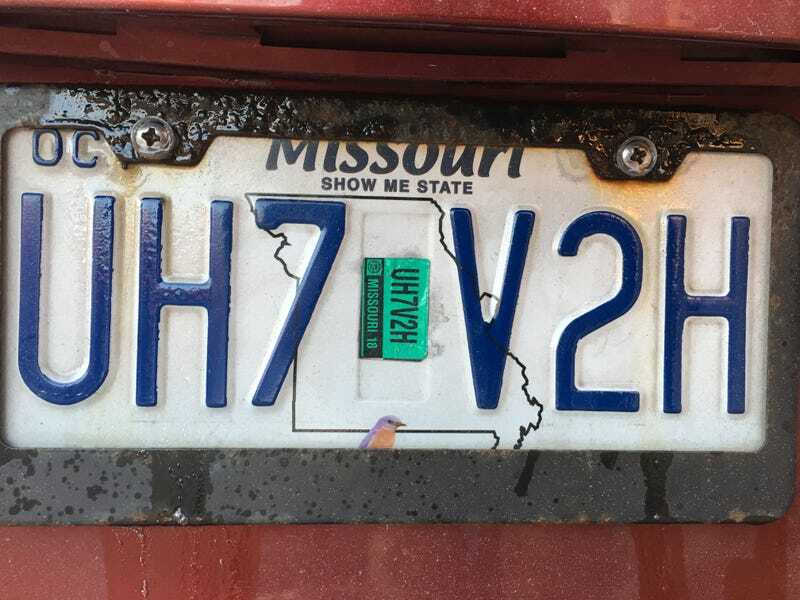 I don’t know if it was the WD-40 or the bigger, properly sized screwdriver, but the old plates and rusty frame have finally been removed and I no longer have to worry about getting pulled over for expired tags. Now I just need a new frame, but it won’t be a steel one like I had previously, for obvious reasons. Any recommendations on who makes a good plastic frame? The other option is a vintage piece I have sitting around. It’s a frame from the one and only car dealer in my little hometown back in SoCal. They sold Buick and Mazda (strange combo) but this frame only lists Buick. But it’s a nice piece and I'm not sure I want it exposed to the crappy weather here in the Midwest.